I thought I would moppet a question out there before I do more digging in case it is anything obvious that springs to your collective minds. My gearbox quite suddenly decided that going ion to 2nd gear was a problem. I was driving along and went to change down and could not get it in to 2nd without a crunch. 1st, 3rd & 4th gears seem a lot better. Maybe 3rd has a little trouble engaging. 2nd is a 'I don't want to go in'. Recent history of the box is as follows. 1: Overdrive and gearbox rebuilt by Mike Papworth 3,000 miles ago. 2: Had an overdrive issue that was the pressure relief valve - sorted no problems. 3: Complete oil change at 3,000 miles. The overdrive is working fine. Clutch slave adjust as much as possible at the rod. 3000 miles isn’t a lot. Call the gearbox builder and ask his advice especially if the oil levels are right. quite suddenly could well be the taper pin on the cross shaft. When you refitted the GB 3000 miles ago did you fit an extra pin in the cross shaft? Hi Roger, I don't think an 'extra' taper pin was fitted? What is this? Best. Paul. the normal taper pin can last anything from a dozen miles to 50,000 miles. Breaking at 3000 miles is not unknown. To determine positively if it is the pin you really need to pull the GB out. However if you get under the car position the actuating lever for the clutch fork cross shaft and push it fully rearwards. It should be vertical as near as damn it. Another dodgy test - pull the lever fully forwards, then gently push it rearwards. When the lever gets near vertical continue to push gently and feel for any gentle changes in feel. This could indicate the broken taper pin snagging over a rough sheared face. - may be. Surely if the clutch was the problem then any gear would be hard to engage ? All gears are stiffer than usual. Reverse is fine but stiffer than usual. Roger I have an awful feeling that you maybe right!!! Where can one purchase an industrial strength taper pin??? The best. there are no ideal taper pins. The pin is not the problem but the quality of the taper hole. Any slight slack in the hole converts the shear force into tensile force. The pin is happy with the shear. The standard fix is to fit the taper pin (I get mine form the TRShop) AND either a roll pin (preferred) or bolt 3/16"diameter at 90' to the taper. This is mine. Done as part of my gearbox upgrade. 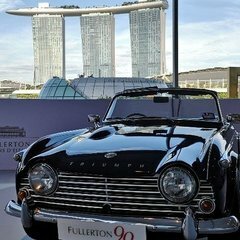 Cars Owned::1965 TR4 sold for £300 in 1974<br /> 1974 TR6 sold for £1000 in 1979<br /> 1972 TR6 sold for £14000 in 2010<br /> 1960 TR3A ongoing restoration,keeping this one! Clutch actuating lever mods are covered a little bit down the first page. I hope you find not too much wrong with your box and it's a simple repair. 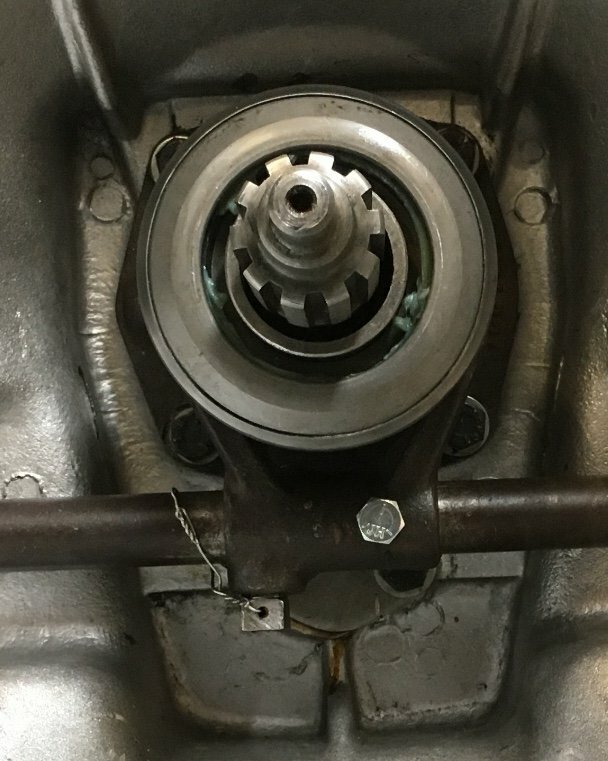 However, if you fancied having an uprated box and 25% ratio OD, I have a spare gearbox and OD just fully rebuilt by Pete Cox, which has been uprated with the strengthened laygear and additional bearing, an extra pinned crosshaft, a 25% ratio J type OD, modified to work in 2nd gear if wanted, complete with an A type to J type mounting kit - this could be available to purchase outright at a very reasonable cost. If you want the ultimate package, Pete is in the process of putting together various bits I've collected into a fully TR converted Stag box with a 28% ratio overdrive, which I may be persuaded to let go. We replaced the release bearing and put a new fork on. On the test drive a massive crunch in second persists. So we drained the oil and it is full of metal. In any event, it looks like another rebuild is in order as we can see bits of bearing in the oil??? Damaged front shaft and main shaft. Complete rebuild required! to get rid of loose metal etc. Let's hope this time we nail it for good. Sorry to hear that Paul, I’d expect Mike to handle this sensibly.